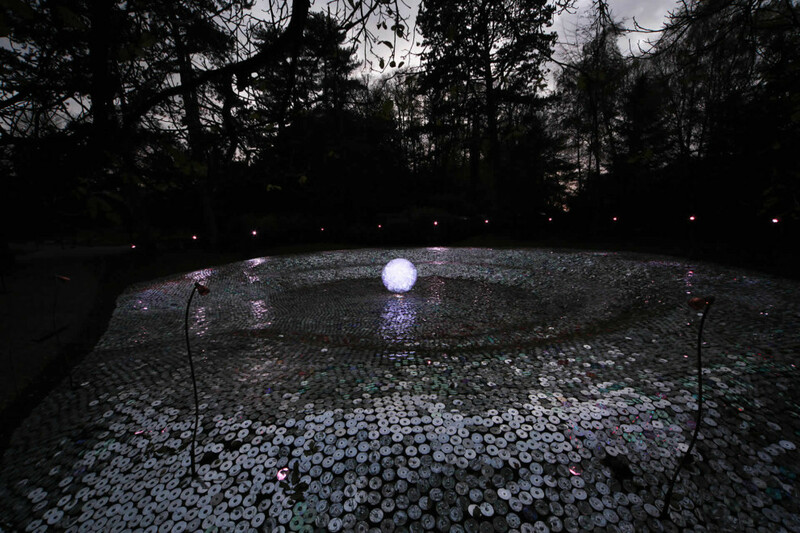 In 2012 Munro began his collaboration with Waddesdon Manor. 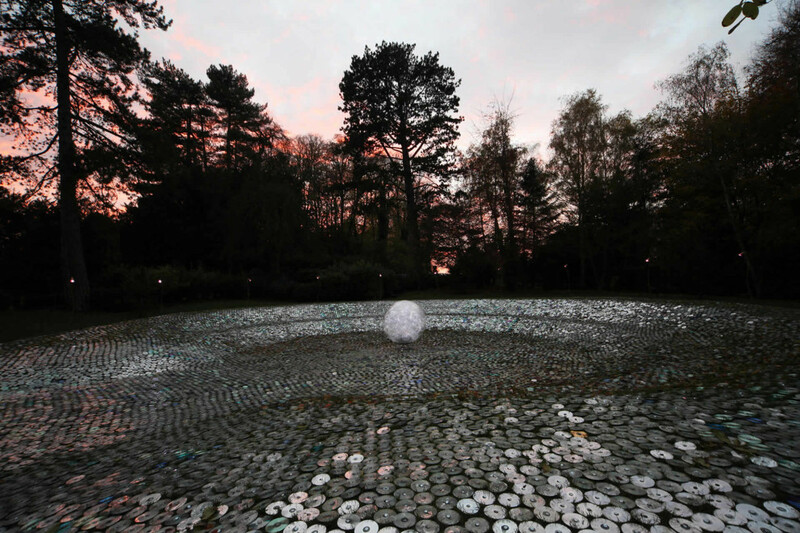 On his first visit to the gardens he had an instinctive reaction to an area of sculpted lawns, an intimate space surrounded by tall trees. The space known as the ‘amphitheatre’ brought to mind a huge platter; a silver platter. 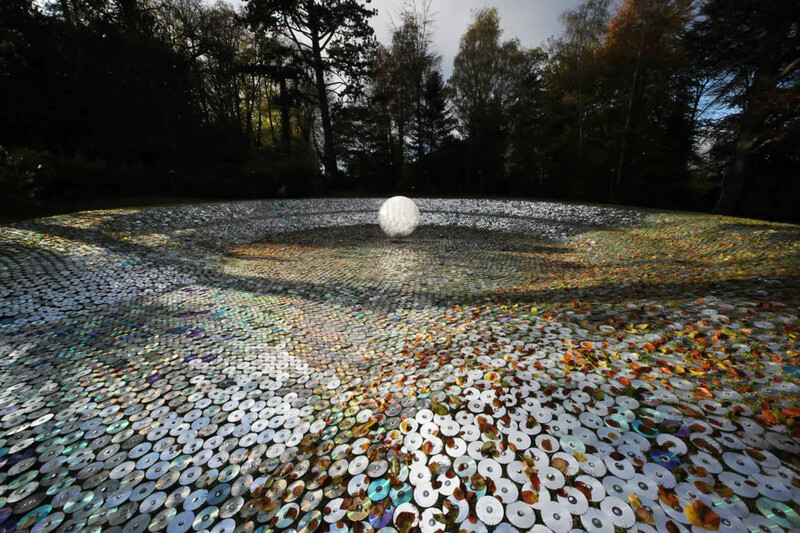 Munro felt that again CDs would provide the shimmering refractive light quality that he saw in his mind’s eye. 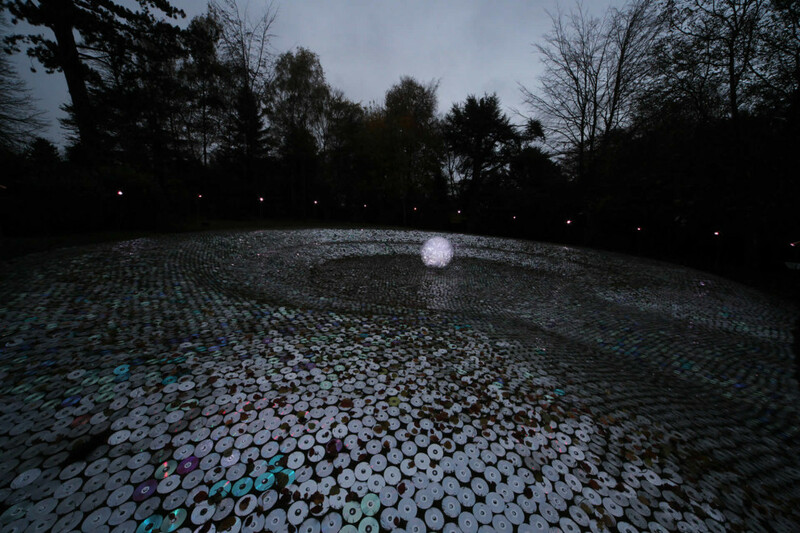 Thousands of recycled CDs were pinned to the undulating banks of the amphitheatre, which measures 28 meters across. 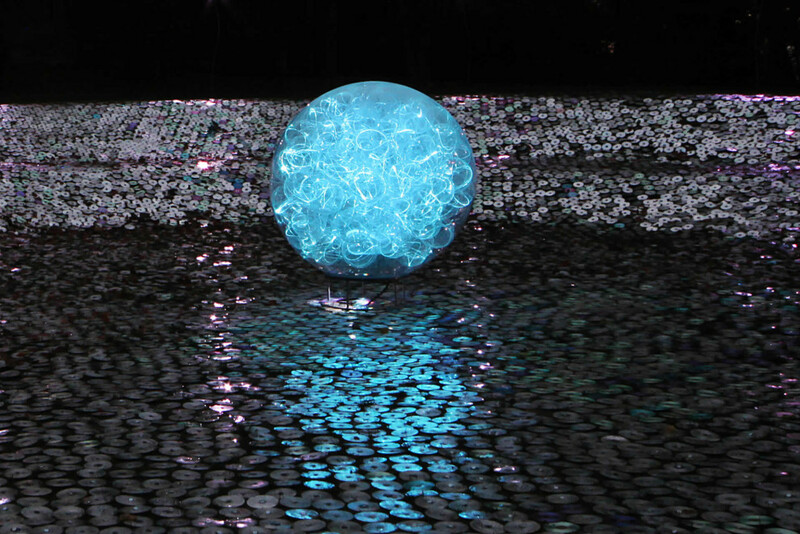 They created a shimmering base for a glowing 1.5m sphere of slowly pulsing white and blue optical fibre accompanied by a soundtrack of ‘moon’ related popular and classical music.